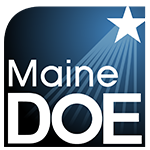 Maine’s writing assessment takes two forms: the writing and language test focuses on analyzing the author’s craft and editing skills while the essay evaluates a student’s ability to compose. The essay has changed a great deal in the last 20 years. These changes reflect the current ELA standards, research about college and career readiness, and the influence of technology on writing. A brief snapshot of the evolution of grade 11 writing reveals a move from creative modes of writing to information-based writing. Scoring is now done with an analytic rubric, moving away from the holistic rubric in favor of a more detailed evaluation. When College Board updated the SAT in 2016, the essay moved out of the standard form and became optional for students. Maine students in grade 11 taking the SAT for accountability purposes must complete the essay. The SAT analytic essay measures three dimensions: reading, analysis, and writing. SAT Test Design Specifications include the following overall claim for the essay: Students demonstrate college and career readiness proficiency in producing a cogent and clear written analysis using evidence drawn from an appropriately challenging source text written for a broad audience. The source text will be an argument 650-750 words long and appropriately complex for secondary study. The prompt directs students to explain how the author builds the argument and cautions them not to explain whether they agree or disagree with the author’s claims. Reading: The Reading dimension encompasses students’ comprehension of a source text, including the text’s central ideas and important details and how they interrelate. Students demonstrate their skill in comprehension in part by making effective use of evidence (quotations, paraphrases, or both) from the source text. Analysis: The Analysis dimension encompasses students’ evaluation of an author’s use of evidence, reasoning, and/or stylistic and persuasive elements, and/ or features of the text of the students’ own choosing. Students demonstrate their skill in analysis in part by using relevant, sufficient, and strategically chosen support for the claims or points they make and by focusing consistently on those features of the text that are most relevant to addressing the task. Writing: The Writing dimension encompasses the cohesiveness of students’ written response to the task as well as students’ use of language. Students demonstrate their skill in writing in part by providing a precise central claim; creating an effective organization and progression of ideas; successfully employing a variety of sentence structures; using precise word choice; maintaining an appropriate style and tone; and showing command of the conventions of Standard Written English. Every day in our classrooms we impress upon students the need to always cite sources when using information and excerpts from any source. In an on-demand situation with limited sources (in this case, one source) repeated citation can be quite disruptive to the flow and form of the essay. In this instance, a single source of information with limited time to respond, it is sufficient to reference the article without the standard parenthetical citations. Students in grades 6-8 will complete an essay that asks them to read a pair of passages and respond to an essential question. The prompt may ask students to compare information within the passages or to analyze the way the author(s) present the information. Students must use evidence from both passages to receive full score for their response. Students in grades 3-5 are asked to develop an informational or opinion essay that is related to the pieces they have read and from which they should draw evidence to support their responses. It is important to note that students do not need to adhere to formal citation in this setting. Since source materials are provided, simply referencing “passage 1” or including the title of the passage within the response is quite sufficient. Formal citation should be used in classroom instruction when students have more information about the source, select various sources, and have time to use reference resources to develop formal citation. Rubrics do not include consideration for formal citation. A single mode of writing will be assessed at each grade level. The follow descriptions reflect proficient writing within the mode at each grade. The student response establishes a precise claim with substantial, logical support from the text provided. The essay demonstrates coherence and clarity with a clear structure and effective transitions. The essay maintains a formal style and contains few errors. The grade 8 essay provides a strong counterclaim that is not required of grade 6. The student response for an informational essay is scored much the same as with an argument. The essay demonstrates thorough, logical development of a task with effective use of the sources provided. The essay demonstrates coherence and clarity with a clear structure and effective transitions. The essay maintains a formal style, uses precise and effective language, and contains few errors. The student response provides a focused opinion in support of the task with specific and convincing evidence from sources. The essay is clear and coherent with a logical progression of ideas and contains few errors. The student response provides a thorough development of ideas in support of the task with specific and relevant evidence from sources. The essay is clear and coherent with a logical progression of ideas, uses precise and effective language, and contains few errors. NEWSELA Learning and Support: Search by topic to find paired passages. NEWSELA also provides ready-made prompts. When you have an account, you can have students respond digitally and collect them in your digital binder. READWORKS: Select “paired text” to find lists of paired passages at various levels of text complexity. Search by topic or key word and sort by text type and Lexile level to find appropriate pairs of texts for your students. Sets include questions to accompany the articles.